GM Engineering was founded in 1988 by Ruvin Grutman and Gregory Mazler as a partnership. Since 1990, GM Engineering has been a California corporation. Each of the company’s principals has been engaged in civil engineering and land surveying for at least 20 years. As of today, the company has performed projects for over 1,700 clients. GM Engineering specializes in all aspects of civil engineering and land surveying. 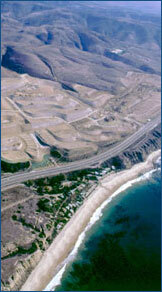 We design grading plans, street improvements, water lines, storm drains and sanitary sewers. GM compiles subdivision maps, prepares lot line adjustments and legal descriptions, and conducts topographic surveys, architectural surveys, ALTA surveys, boundary surveys, and construction layouts. The company also provides processing of construction plans through regulating agencies. Our most notable project is Porter Ranch, where we have designed numerous residential subdivisions consisting of hundreds of lots, with commercial complexes, for Shapell Industries. The office design team utilizes the latest computer equipment and software. Every project is overseen by the principals of the company. This assures the technical quality of the projects. Our surveyors are equipped with the most technologically advanced equipment available, such as a global positioning system (GPS) and robotic reflectorless total stations. This equipment has allowed us to participate in such challenging projects as providing geodetic services for the calibration of rocket launching and navigation systems. We retain our clients by providing diversified and efficient services and finding the most economical and innovative design alternatives.